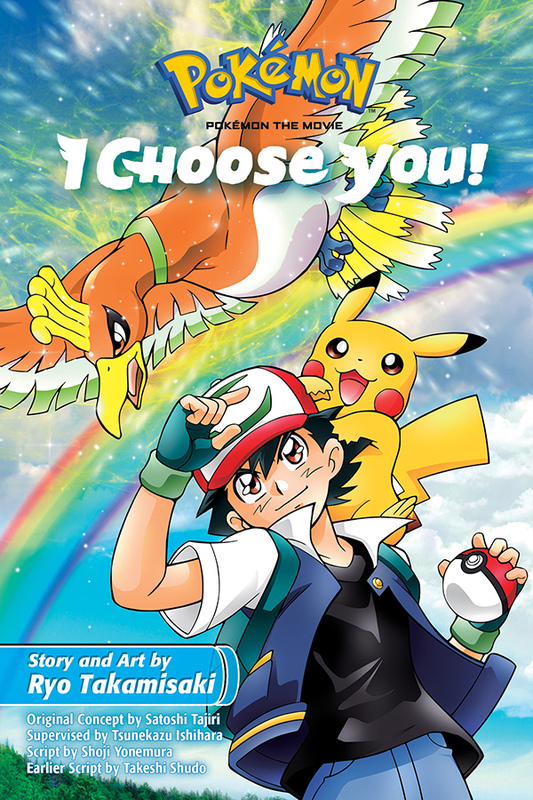 San Francisco, CA, November 7, 2018 – VIZ Media, LLC (VIZ Media), a premier company in the fields of publishing, animation distribution, and global entertainment licensing, delivers adventure and fun with the release of the POKÉMON THE MOVIE: I CHOOSE YOU! manga on December 11th. Under license from The Pokémon Company International, the POKÉMON THE MOVIE: I CHOOSE YOU! manga adaptation of the popular 2017 anime film depicting Ash and Pikachu’s first adventure together is rated ‘A’ for All Ages and will carry an MSRP of $14.99 U.S. / $19.99 CAN. The POKÉMON THE MOVIE: I CHOOSE YOU! manga features story and art by Ryo Takamisaki. When Ash Ketchum oversleeps on his 10th birthday, he ends up with a stubborn Pikachu instead of the first partner Pokeěmon he wanted! But after a rocky start, Ash and Pikachu become close friends and true partners—and when they catch a rare glimpse of the Legendary Pokeěmon Ho-Oh in flight, they make plans to seek it out together. Trainers Verity and Sorrel join Ash on his journey, and along the way, they meet the mysterious Mythical Pokeěmon Marshadow. When they near their goal, an arrogant Trainer named Cross stands in their way. Can Ash and Pikachu defeat him and reach Ho-Oh as they promised, or will their journey end here? Pokémon is one of the most successful international entertainment franchises of all time. More than 300 million Pokémon video games and over 23.6 billion cards from the Pokémon Trading Card Game have been sold in more than 74 countries in addition to publishing and merchandise sales. VIZ Media is the official North American distributor for a wide variety of Pokémon home media releases including animated series and films and also publishes a variety of Pokémon manga graphic novel series (in both printed and digital formats) including Pokémon Adventures, Pokémon Adventures: FireRed & LeafGreen, Pokémon Adventures: Emerald, Pokémon Adventures: Diamond AND Pearl/PLATINUM, Pokémon Adventures: HeartGold & SoulSilver, Pokémon Adventures: Black & White, POKÉMON X•Y, and POKÉMON OMEGA RUBY • ALPHA SAPPHIRE.